The I-10 Redlands Pavement Replacement Project, will construct pavement improvements on both east and westbound lanes on Interstate 10 between Ford Street in Redlands and Live Oak Canyon in Yucaipa. The Project will replace concrete in the number 3 and 4 traffic lanes, as well as performing spot replacements in the number 1 and 2 traffic lanes. The purpose of the Project is to improve safety for users of Interstate 10, as well as to improve the ride quality of the Interstate. The Project is anticipated to begin in April and have a construction time of 12-15 months. 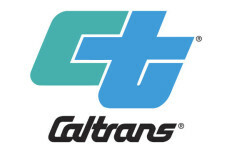 In order to construct the improvements, Caltrans is anticipating a series of 55 hour shutdowns over 28 weekends. While the project schedule is not final at this point, the closure of the number 3 and 4 traffic lanes for 14 weekends on both eastbound and westbound I-10 is expected. The shutdowns will occur from 9pm Friday evenings until 4am Monday mornings. In order to provide 3 travel lanes for both east and westbound traffic at all times, work will not occur concurrently on eastbound and westbound lanes. Additionally, the provision of 3 travel lanes will require a median crossover detour where the existing median divider will have to be demolished to enable crossover traffic. As opposed to the closure of the number 3 and 4 lanes, the closure of the number 1 and 2 traffic lanes will occur during weeknights. The schedule for these shutdowns will occur from 9pm to 4am the following morning.